We say we’ll do something, then we never do it. I love being swept away by a story. That means missing your subway stop because you entrench yourself in an imaginary world. That means being mentally gone. That all happened to me when I read the opening story, “Car Crash While Hitchhiking.” In the middle of a rain storm, the narrator, who’s high and drunk, gets into a car that later kills a man. I got déjà vu, because I remember reading the last line of the story: “And you, you ridiculous people, you expect me to help you.” (Turns out it was in “Object Lessons”). Just take apart that line and see how much you can get from it. It’s in second-person, so you sense that the tone is aggressive. I imagine a man spitting out the word “ridiculous”–maybe even snarling. You can tell that the narrator (“Fuckhead”) is angry without even having to read the whole story. You might even feel pity for him, too, because you wonder why he’s saying this. What leads him to take drugs in the first place? The narrator’s bitterness urges me to turn the pages. He’s a junkie hitchhiking, and the accident changes him, but it doesn’t seem horrible to him in that moment, because he’s still high. Years later, however, he still remembers this accident. I’m hoping to hone my craft by reading many short stories. While I am at work on a novel, I have a list of short stories that need to be submitted. (That’s right, it needs to happen). I recently finished writing another short story called “Let’s Eat Heart for Dinner.” I hope someday that you’ll get to read my stories, and feel the pressure behind my words. Question for readers: Who are some of your favorite short fiction writers? Comment below! 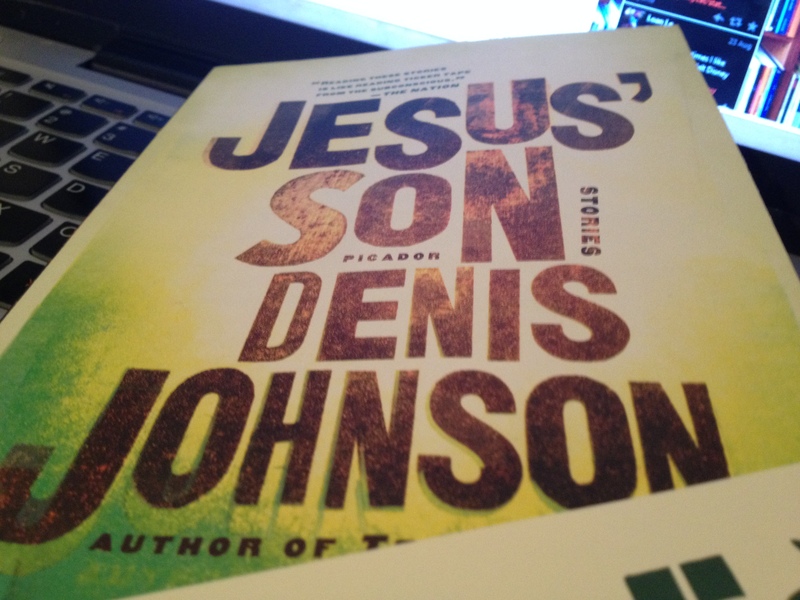 I’m so glad you picked up Denis Johnson’s Jesus’ Son – great collection of stories (I picked up my copy at The Strand). I’ve also been trying to zone in on my love of short stories by picking up collections from different writers so it’s nice seeing someone else do so as well. & of course, the short stories of F. Scott Fitzgerald & Roald Dahl also has a story collection that really brings a rather interesting light on everyone’s favorite children’s book author. I’m currently reading Robin Black’s If I loved you, I would tell you this and Marie-Helene Bertino’s Safe As Houses (I actually met this writer at the Greenlight Bookstore for her novel’s launch party) and they’re really turning out to be really good reads. We should meet and catch up! I see you’re going to the Brooklyn Book Festival later this month. Would you want to meet up? Glad I could contribute to your list. I have a bunch of them if you’d like to borrow any. 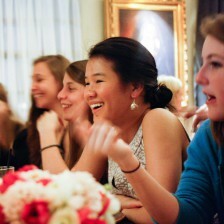 As for meeting up, that would be awesome, we should definitely meet up! We could even meet before hand as well.